I know I’m not a minimalist, and I will most likely never be one, but a few times a year, I am struck with the urge to organize, purge, and clean. It’s a very grown-up feeling. I sometimes engage in a program called “40 Days, 40 Bags,” which coincides with the Lenten season. However, those weeks now tend to be the busiest of my entire year (midterms, Easter, musical), so I go in with high hopes, and the 40 days gets moved to May / June. The one area of my life in which I am a borderline hoarder is with academic stuff. I’m a fan of printing things out, but then I feel like I need to save it. Tonight, I finally threw out 8 years worth of old syllabi, assignment guides, exams (test only, not student submissions), and reading / viewing guides. An entire 3″ binder is now totally clear. I also went through my old text books, and I’m getting rid of the ones that were either samples from publishers (stop sending unsolicited desk copies, for the love of Pete) or old ones from undergrad that had no resale value. Also, a 5th edition MLA handbook. My department gave me a fresh new 8th edition one almost two years ago, so I’m good to go. I saved a few things: written lecture notes to transcribe this summer (primarily for my film class, of which I was especially proud); a crash course set of notes in uses and gratifications from when I had to teach a 400-level seminar on audience studies; clean, loose-leaf lined paper. What I really need to purge now is my notes from undergrad and graduate school. I parted with about half of my notes years ago, because they were from courses I would never look at again. But the rest are all from my American studies programs. I could transcribe them, but I could also find a lot of more productive things to do with my time. I’m really torn. I plan on purging most paperwork in my house except for the absolute essentials over the summer. I want to make things look neater. Clean space, clear mind. Presidents are lionized or destroyed in times of national tragedy. Their reactions to fires, floods, and fiascos are dissected in the media and on social media sites, and they can easily lose their grips on approval numbers with a misstep on the national stage. Most U.S. presidents are not consistently tripping over a major tragedy, but have a mixed record. Pres. George W. Bush’s strong and compassionate response after 9/11 that helped make Americans feel safe again, if only for a few weeks. Four years later, he lost all credibility in this area with the issues surrounding Hurricane Katrina. As Secretary of Commerce, Herbert Hoover helped save millions suffering in the Russian famine of 1921 – 1922, a fact that is overlooked by most because of his presidential response to the Great Depression. Some are strong and consistent in times of turmoil, such as Franklin Roosevelt and Ronald Reagan. In our modern media landscape, fragmented between the professionals and the peanut gallery on social media, the presidential response is part of disaster reporting. Hurricane Harvey has been no different. Each and every move of President Trump has been broadcast throughout the event, including his wife’s choice of footwear on their initial trip to the disaster zone. How the media covers disaster is very telling of our society at that moment. During the days of “yellow journalism,” putting tragedy on the front page sold papers. Natural disasters, especially earthquakes, were ill-understood, and the media was less equipped to report on them, as information traveled slowly. Today, we have information immediately and the void needs to be filled with anything that moves. The thing that moves most often is President Trump. The outlet that most impressed me during Harvey is the Weather Channel. For obvious reason, they have been on the ground since well before the storm, and are in the process of leaving now. The bulk of the reporting stayed with certain themes throughout the event: Before the storm, it was the science of hurricanes and the growing threat; during the storm, they seemed incredulous at what was happening around them and the sheer length of the hurricane; and after, they focused primarily on helping get the word out about recovery. They stick with the truly essential information, with no need to sensationalize further. Jim Cantore experiences “thunder snow” in my hometown. He is a joy. I’ve observed some major changes on The Weather Channel in the last few years, although I have been an avid viewer for many years. Many of their programs have re-focused on the science of weather and how to stay safe in a major weather event. These changes are intentional, according to a Variety interview with the Weather Channel’s chief executive, Dave Shull. Upon his take over in 2015, he brought the channel back to its long time viewers, who were most interested in the science of meteorology. In the final quarter of 2016, ratings were up 46% in key demos during the day and up 42% during primetime. That said, another subtle shift is also clear with continued viewing. As the current administration rails against the existence of climate change, picks apart the EPA, and attempts to destroy scientific thought, the Weather Channel is fighting back. Just after the election and throughout the spring, their evening programming focused on climate change research, the increase of severe weather due to climate change, and other shows devoted to understanding the science of weather. The nature of the Weather Channel keeps it away from politics, but each report seems to hold a subtle protest against the erosion of science in American culture. Some protests, especially after the Paris Climate Accords, are more overt. My research into media and disaster was not going to include much about the Weather Channel, aside from its role as a neutral control subject. 2017 has truly been a year of surprises. Well, goodness. August ended up being far more productive than expected, and despite that, I have felt behind the eight-ball all month. I’m getting there. New classes, conferences, more than 100 students…welcome to academia, Dr. Lady Americanist. I’ve been finding ways (other than crochet, my old standby) to de-stress at the end of a long day, and I have found solace in podcasts, reading, movies, and television. Let’s talk about what I’m watching / reading / listening to / anticipating right now in popular culture. – Past – Thunderstruck (Erik Larson): Another historical thriller by Larson made for excellent reading over the last few months. This one examined the invention of the wireless radio system juxtaposed with a murder in the United Kingdom. It’s not as tightly woven together as The Devil in the White City, but it is still a good read. – Present – Destiny of the Republic (Candice Millard): I’m only a few pages in, but I’m already deeply invested in the “character” of President James Garfield. Garfield’s assassination is perhaps the least analyzed of the four presidential assassinations, but it is an incredibly important event. More later. – Future – Where Am I Now? (Mara Wilson): I’m a sucker for a good memoir, and Mara Wilson’s work was a big part of my childhood. I’ve been following her writing on Cracked and Twitter (is that a thing? It is now) for a few years, and the excerpts I’ve already read were incredible. – Past – Hill Street Blues: I watched this a while ago, but I started a re-watch over the summer. I only have access to the first three seasons, and I’m sure the rest is just as good. It is a groundbreaking drama that paved the way for other shows that I love. I’m trying to get through as many 1980s prestige dramas as possible, but it is proving difficult. St. Elsewhere only has one season on Hulu, and L.A. Law, thirtysomething, and Murphy Brown are almost impossible to find. If anyone can help me out, please do. – Present – Call the Midwife: My parents have excellent taste in television. They have turned me on to so many great popular culture texts, and this is just another in a string of recommendations. I’m almost through the first 4 seasons, and I’ve been watching since Thursday. – Future – FALL PILOT SEASON: It’s finally here! My shows are back! What do I watch every week? Bob’s Burgers (Fox); The Goldbergs (ABC); Blackish (ABC); Modern Family (ABC); Fresh Off the Boat (ABC); Brooklyn Nine-Nine (Fox); New Girl (Fox); Saturday Night Live (NBC). What my television schedule is lacking is drama. I’m hoping that ABC’s Designated Survivor will help fill that void. I remember my dad telling me about a Tom Clancy novel that he was reading that highlighted the concept of the designated survivor (the Cabinet member that stays behind during the State of the Union). I’m hoping for good things. I can’t really do a past / present / future thing, but I just watched The Big Short and Spotlight, both big Oscar contenders last year. Both were excellent. I need to compose something separate about my future film choices, but I am reigniting my quest to see every single Best Picture winner. Spotlight helped me with that. – Past – Pop Culture Happy Hour (NPR): Technically, this is past / present / future, but I’ve been listening to it for about three years now, and I look forward to it every week. It’s funny, insightful, and a great place to learn about new pop culture. – Present – You Must Remember This: My college roommate turned me on to this, assuming I had already listened to it. Karina Longworth investigates the first century of Hollywood, and each season focuses on a specific storyline. I started in the middle with the season about the blacklist, but I plan on going back to the beginning soon. – Future – The West Wing Weekly: Actor Joshua Malina and musician Hrishikesh Hirway are going through The West Wing episode by episode with help from other West Wing actors, crew, and those who worked in the real White House. Season one just wrapped up, and I’m eagerly anticipating season two. Hopefully you got some suggestions for your own pop culture enjoyment! No matter what I do, summer is never my most productive season. Last summer was exceptional, but I was deeply motivated by my goal to graduate in four years and to stop paying tuition. I also was assigned classes sort of late in the summer, so I didn’t have the opportunity to prepare until mid-July. This summer was a little different. We moved, so that has consumed the entire month of July. I did work on my syllabi and some crochet projects during May and June, but now the heat is on. School starts in three weeks. I’m simply more productive when I have an externally imposed schedule (classes, dance, etc.). I know other scholars are more self-disciplined, but I’ve learned that when I try to do that, I just become disappointed in myself. In an effort to be more productive, or at least take control of how my time is used, I’ve started keeping “bullet journals,” which is something you may only have heard of if you are a frequenter of Pinterest or Instagram (which I am). These sorts of planners are more free form and customizable. It’s also a trend I can get behind because I can’t pass up a great notebook, and bullet journals simply require a notebook and pen (although the examples online go all out). Apparently, I was already bullet journaling in my traditional weekly planner, but now I’m using them to plan more intentionally. When the new year starts (2017), I’ll condense all of my journals into one, as is prescribed, but I can’t fully abandon my planners in progress. I’m not insane. Bullet journaling has also allowed me to create a lesson planner especially for higher education. Every lesson plan notebook I found justifiably catered to the K-12 set. I have no need for Common Core trackers, attendance lists, or IEP guides. So, I’m creating my own higher ed planner. It has places to plan courses, track service, and organize my writing assignments. Many writing assignments are paid through W-9 tax forms, which means I have to set money aside to pay those taxes in 2017, so I have a space for those. A friend also suggested slipping a $20 in every planner, and while that’s a great idea, I don’t have that sort of capital. My first draft is hand drawn, but I’m creating printable pages so kind friends can do their own test drives. What would you want to see in a higher ed planner? I’m not tenure track or full time, so those needs are unknown to me. Starting around the same time as the Rio Olympics, the American television pilot season will begin. NBC will probably crowd a lot of its favorites around the end of Olympic coverage, and the other networks and channels will quickly follow suit. But what makes a good pilot? It’s difficult to say, especially since most pilots are shaky at best. The writers, cast, and technical staff are all trying to get used to one another. Some of our best loved shows have weird pilots. Parks and Recreation comes to mind. It’s entire first 6-episode season is nothing like the seasons that follow. Leslie Knope (Amy Poehler) is almost a female Michael Scott. Ron Swanson wears a suit! It’s madness. When I recommend the show to new viewers, I suggest watching “Pawnee Zoo” (episode 2.1) first, then viewing the first season after falling in love with the show. It functions best as a prequel: a deeper cut for the real fan. I considered these pilots in terms of their series as a whole. Are the characters largely true to their later arcs? Does the pilot make me want to watch the rest of the series? Is it in any way awkward? Additionally, all but one of the shows on my list has come to the end of its run. I also haven’t seen a few shows that are probably missing from the list (Breaking Bad, Twin Peaks), but it didn’t seem fair to judge them against shows I know well. The West Wing (1999 – 2006): OK, this one might be first for a reason. Before the opening credits, we meet almost all of the major players. We come away with a very definite sense of what this program is all about. If you are already a West Wing fan, you may have been listening to the West Wing Weekly podcast, which I highly recommend. Almost every guest talks about the pilot episode. It’s just that good. The Mary Tyler Moore Show (1970 – 1977): Considering the social change that occurred in those seven years, this show is strong the entire way through, and the pilot is just the tip of the iceberg. It also holds up well, both as a popular culture artifact, but also as a piece of entertaining television. Many shows of this era do not function both ways, but MTM does. This show also created a production environment that gave birth to other amazing shows , including Cheers, Hill Street Blues, and St. Elsewhere. Lost (2004 – 2010): I remember watching this the night it premiered, and I was totally turned off by how intense it was (and the repeated plane crash). There was so much going on. Fast forward three years. I was dating my now-husband, and he and my best friend teamed up and insisted that I watch Lost. I’m glad he did. The pilot was just an essential part of understanding the lives of the characters and the effect the plane crash would have. Modern Family (2009 – Present): Despite what some critics might say, I think this show is a remarkably strong comedy for its age. It is also part of ABC’s comedy block that has come to be one of my favorite nights of television (The Goldbergs, Fresh Off the Boat, and Black-ish). The pilot includes Lily being lifted up like Simba in The Lion King as a presentation to her family. The Wonder Years (1988 – 1993): I love the ability that this show has to capture a historical moment, and the pilot is an excellent example. It’s 1968, one of the most volatile years in American history. Our main cast is attending a school renamed for RFK; Vietnam plays a major part. It also sets up the adorable romance between Kevin and Winnie. Hill Street Blues (1981 – 1987): Thanks to the power of Hulu, I was recently able to watch the first three seasons of this game-changer. I was instantly transported to Hill Street Station. I fell in love with some of the characters instantly, while others did take more time. Because this show would follow multiple characters through multiple story arcs, which was revolutionary, there was no other pilot that had to accomplish what HSB had to in its first episode. A lot of other pilots on this list owe quite a bit to Hill Street Blues. Remember: let’s be careful out there. 30 Rock (2006 – 2013): I eagerly anticipated 30 Rock after Tina Fey left Saturday Night Live. I needed more T.Fey in my life. I was not disappointed. Fey and Co. do a wonderful job of setting up who the characters are, particularly Liz Lemon and her complex personality. Aside from the dynamic arc some characters take, we don’t get weird character “re-dos” like we do on Parks and Rec or The Office. Cheers (1982 – 1993) / Frasier (1993 / 2004): The Cheers pilot is a textbook example of an effective sitcom pilot. We meet everyone organically through Diane’s entrance into the world of the bar. Actually, Diane facilitates most of our major introductions (Frasier, Rebecca) in one way or another over the next 11 years. It’s a group viewers want to return to, although it took longer than we remember for American audiences to give Cheers the ratings it became famous for. Frasier, on the other hand, is a somewhat known commodity. We know Dr. Crane well (Kelsey Grammer joined Cheers in 1984), but we truly don’t know much about his background, aside from Lilith. Still, Frasier is an entirely new world, completely unlike Cheers. It’s quite a feat. Arrested Development (2003 – 2006; 2014 – Present): I will admit that I watched this show entirely after its cancellation. It came on during a time in my life when I didn’t have time to watch much TV, aside from what my parents might be watching or that I was already following. I came to this show when I started dating my now-husband, but he didn’t have to convince me to watch more. The show is able to overtly introduce us to the Bluths, thanks to Ron Howard’s narration, but it’s not cheap or cheesy. When a show is already non-traditional, it can get away with less traditional formats. Downton Abbey (2011 – 2016): Nothing will draw me into a period drama like a horrible tragedy like the Titanic. That is exactly what brought me to Downton, and I remained a loyal viewer to the end. Unlike the other shows on this list, Downton was NOT created with an American audience in mind. It moves more slowly and deliberately through the sagas of Mary, Edith, Anna, and Bates. A strong pilot also does not guarantee ratings success. Arrested Development is the poster child for shows cancelled too soon. Cheers took a few years to become the iconic sitcom of the 1980s (running over 200 episodes and 11 seasons). 30 Rock was always a critical hit, but never had amazing ratings. I feel that more networks need to give some shows more time to incubate. Sometimes a show’s greatest achievement is moving past a bad pilot. More television posts coming your way. I’m working on some other writing that revolves around TV, so it is where my brain is at. Briefly, a quick thanks for reading. I’ve been concentrating on my dissertation, which I defended in February and submitted in April. After graduating in May, my other passion, dance, took over my spare time until our annual recital this past weekend. I’m eager to return to regular blogging. Unfortunately, my newest research topic and the national news have converged, paving a path directly to a new entry. Over the last 48 hours, my Facebook, Twitter, Instagram, and even my Ravelry pages have been flooded with symbols of hope and support for the victims of the tragedy in Orlando. Two of my friends from college were marked “safe” through Facebook. Profile pictures are now either tinted with rainbows or with orange. The logo for the Pulse nightclub is instantly recognizable. These are the visual symbols and concepts that will come to represent this particular horror. While most of these symbols have emerged organically, the concept of branding a disaster or tragedy is not new. Through social media, news outlets, and other popular culture entities, Americans brand the things that happen to them. While not a totally new concept, this sort of imaging is definitely of the television and Internet ages. A lot of it begins with the assassination of JFK. Because of the near-constant coverage, news outlets created their own logos for their coverage. Overtime, the assassination and its aftermath are present in our popular culture. Other disasters have similar patterns. Natural and man-made; terrorist and accident. Currently, I am examining this pattern with the Three Mile Island accident. As an almost lifelong resident of South Central Pennsylvania, the power station looms over almost everything we do. I attended a university that sits in its shadow. I live close enough that I am provided with an evacuation plan pamphlet. We call it TMI. It’s a very convenient shorthand. In the wake of the accident, popular culture started to appropriate the image of the cooling towers and the idea of a whole population possibly being poisoned. T-shirts, buttons, bumper stickers, lamps, mugs, and even board games were created. No movies have ever been made about the accident, because about a week before, the ultimate fictional representation was released with The China Syndrome. It’s very easy to be both flip and serious about this event. I hope to find patterns in these disasters and how we respond to them. I’m sure there is a series of steps that we take to cope with unspeakable horror, such as that in Orlando. I hope Orlando is the last event I can include in my research. However, I’m realistic enough to know that probably won’t be the case. Tomorrow is the 14th anniversary of the 9/11 attacks, and it will most likely dominate the news cycle, as it tends to do. 9/11 was an overwhelming media event, from the 24 hour coverage to the live broadcasts of the day’s horrible images. The inconceivable actions of the day left many Americans feeling hopeless and at a loss for what to do next. Many channeled that energy into good deeds. It’s a National Day of Service and the acts of kindness in the days after the attacks, particularly in Manhattan and in Gander, Newfoundland, helped bring light to a dark place. We remember, but we continue to move forward. I’m not setting out to write another cliche 9/11 article about “where I was” or some fresh story that will inspire us in the days to come. I’m putting out a call to action. While 9/11 has faded into the backgrounds of many lives, there are some who continue to live with the effects of that day and its aftermath even 14 years later. 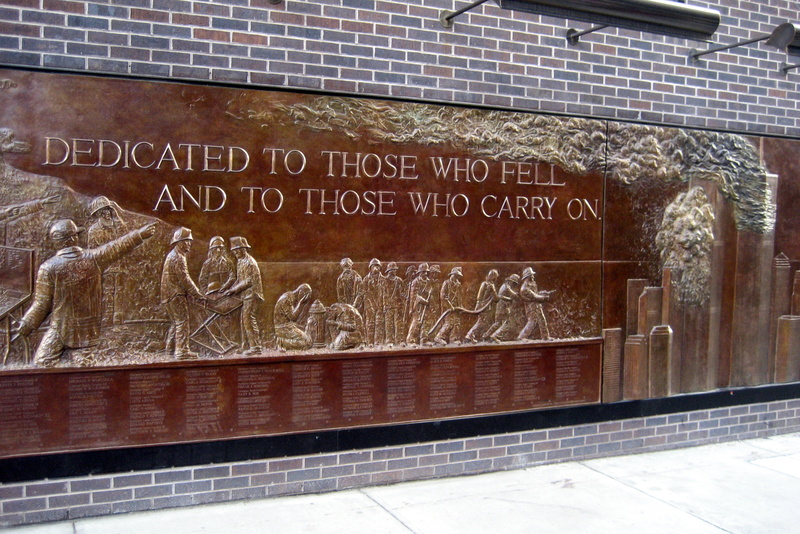 These are the men and women who rushed to the towers after the collapse and attempted to find survivors, and later, to find remains in order to bring closure to families. They are the firefighters and police officers who survived the collapse and went back into the rubble to find their fallen brothers and sisters. Many spent months day in and day out searching for personal effects and remains, and as a result, they will suffer physical effects of their sacrificial acts. The James Zadroga 9/11 Health and Compensation Re-authorization Act (previously known as the Zadroga Act) is currently grinding its way through the United States Congress as H.B. 1786. Five years ago, the Zadroga Act provided funds, support, and research to assist those who were suffering from 9/11-related health issues. Cancer, respiratory distress, and other chronic illnesses plague those who spent time near the towers after their collapse, potentially from the toxic dust that was comprised of building materials and other chemicals. The bill would permanently refund the program to help victims and research their conditions so we can better catalog the effects of the attacks. Its primary sponsors are a bi-partisan team from New York (Reps. Maloney and King, Sens. Gillibrand and Schumer), but it has numerous co-sponsors in both chambers and on both sides of the aisle. This bill seems like a no-brainer, especially given all the talk that crops up around this time about remembering 9/11 and honoring its victims and heroes. However, it has stalled. The primary (and only understandable) reason for opposition is the money issue. It’s an expensive piece of legislation, partly because it needs to fund care for the (currently) 30,000 people suffering from 9/11 related illnesses. Because of the nature of cancer and other chronic illnesses, that number will rise as children exposed to the dust develop issues. Annually, it is estimated that it will cost $400 million to keep the World Trade Center Health Program and the September 11th Victims Compensation Fund running. However, consider the F-35 Joint Strike fighter plane. I believe we should provide our military with the best possible equipment, but this plane, which cost $400 billion to develop and will cost around $1 trillion to maintain, has some major flaws. For instance, it cannot fly at night or in poor weather, and they are not currently being used for our military. Seems like a possible funding source. Former Daily Show host Jon Stewart has been very vocal about the importance of the Zadroga Act, which is how I came to hear about it, and he will be heading to Congress to lobby for the act’s extension. Hear him talk further here in 2010. So tomorrow, if you are looking to do something substantive for our 9/11 first responders, take the time to call or email your US Representatives or Senators. I will be contacting Rep. Scott Perry (R-PA) and Sen. Pat Toomey to encourage them to support the bill, and I will be contacting Sen. Bob Casey (D-PA) to thank him for his co-sponsorship of the bill. Find out who your Representatives and Senators are! We should not fill tomorrow with empty words of remembrance, but rather with action that will help those who sacrificed so much in our nation’s darkest hours. Do you ever feel like a movie knows something intimate about you…that even YOU aren’t completely aware of? Sarah Wilson looks at the film that seemed to know her better than she knew herself, at the time. 1. What is the one text that has been the most pivotal or influential in your life? The movie Mona Lisa Smile (2003) utterly changed my life. Julia Roberts “stars” as Katherine Watson, a progressive art history professor at Wellesley. While I am drawn to the film for many reasons, I realize every so often how much my life reflects some of the details (and themes). I cannot tell if I was inspired by the movie and so pursue similar elements in my life, or if Mona Lisa Smile mirrored (anticipated?) my future. 2. When were you first exposed to Mona Lisa Smile? Did it have an impact right away, or was it upon a later interaction? I believe I just started taking classes at a community college in Maryland after a few years “off” after graduating high school in 2001. My roommate rented it from Blockbuster (how archaic!!). I do not consider myself a “movie watcher,” so the fact that I remember watching this film in great detail is significant. I was memorized by Julia Roberts’ character who seemed to be living my life — or what I wanted to be my life — without really knowing it was my life… if that makes sense. At this point I was not an art history student. In fact, I was on a completely different track and it would take a few years to focus on art history and realize my own potential in academics. Like a lightning bolt, I was hit deeply with the recognition that I wanted to teach — advise — young women. The funny thing is that I was just a “young woman” myself, so this realization was slightly confusing. Over the years at various turning points in my life, I realize how similar my thoughts and feelings are to this fictional character. Honestly, I do not try. It just is. I feel slightly insecure about the fact that I relate so much to a…movie. 3. What is the most profound effect that it has had on your life? Did it change the way you think or see the world? Did it lead you in a new direction in your work or hobbies? Yes, yes. All the time. Thanks, though. I’ll take it as a compliment. 4. How else has Mona Lisa Smile enriched your life? It is a sweet, inspiring movie. I can connect my interests in art history, teaching, women’s higher education and feminism to it. It is weird to have all of these things apparent in one film. 5. What reaction do you get when you talk about the importance of the movie? Are people surprised that it had an impact on your life, or do you find that others had a similar reaction as yourself? I think people know it as a nice movie, and I certainly have had people ask “Oh, have you seen Mona Lisa Smile? I think you would love it!” after hearing of my academic life. I surprise myself (and get a bit concerned) when I think of the trajectory of my life and the movie. I should get over it. 6. Have you found other Julia Roberts movies to be meaningful as well, or was Mona Lisa Smile on a different level? 7. Has your perception of Mona Lisa Smile changed as you aged or had powerful life experiences? I feel like I have a personal connection with this film that no one knows about but me. 8. How do you share Mona Lisa Smile with others? 9. How do people react after you have shared the film with them? Do you sometimes wish you had kept it to yourself? Oh, it is definitely a secret. It is personal and often difficult to explain to others. I think this is because it is not a very profound text, but it has such an impact on my life. 10. What is the most important part of Mona Lisa Smile to you? 11. To whom would you recommend Mona Lisa Smile and why? I would recommend this film to young college women because of its emphasis on independence and academic achievement. 12. What were your “runner-up” texts? Sarah Wilson is an graduate student and an instructor in American studies and women’s studies. Her research focuses on the role of women’s colleges during World War II. You can find her pontificating on the graduate student experience, the environment, and her travels at The Americanist Diversion. Thank you Sarah! The first TTTM entry is exactly as unconventional as I could have wished, but precisely in the way I hoped the questions would be answered. Thanks to John Price for being our “guinea pig” and really coming through with this interview. Ok, this is going to be unconventional, and I anticipate some reactions, but it’s the movie Die Hard (just the original, not the dumbed-down sequels). I first saw it as a young kid on TV (edited, of course) and was drawn to the action. Also, as a kid I assumed that every character named “John” was either about me or a spirit guide, or something like that. Now that I think about it, though, John Goodman might actually be my spirit guide. For years (as a kid! ), I thought there was a chance I was actually John Connor. Not because my father is a time-traveling freedom fighter — he most definitely is not — but simply because John Connor’s first name was “John” and we were the same age. 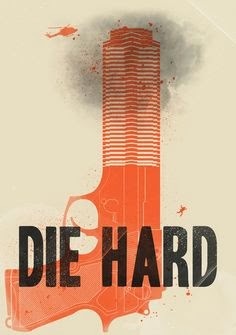 So, yeah, I saw Die Hard and began to think of John McClane as a role model. While you know me as The Lady Americanist, in my other life, I’m known as Miss Megan: Dance Teacher. I started dancing when I was 7 years old, and after a break for college and graduate school, I have returned to the school that showed me how wonderful dance is. In fact, even during those “off” years, I danced in musicals, taught dance at other schools, and found ways to integrate dance into my summers. In short, I’ve been dancing for 22 years. Dance has been a very important part of my life, and I know lots of other children and adults who feel the same. I mention this because of the recent news about Misty Copeland becoming the first black ballerina to become a principal dancer at the American Ballet Theatre. That accomplishment in itself is incredible. Principal dancers are the stars of the company. There is no higher rank. Regardless of other qualifiers, this is a major achievement. However, representation in dance, especially in terms of race, is a hidden issue. Ballet is a very white art form, although many companies (Dance Theatre of Harlem, Alvin Ailey American Dance Theatre) have been making great strides in those areas. Part of the reason for this is uniformity. Dancers are supposed to appear as uniform as possible, especially in the corps de ballet. Women and men of darker skin tones, in the minds of some companies, would disrupt this uniform look. Black leotards and pink tights are the uniform of the traditional ballet class. When I was a kid, I had a friend who was a pre-professional dancer. She studied at one of the best schools in the nation, which happens to be right here in Central Pennsylvania. One summer, we were at the pool, and she was wearing a long sleeved shirt and sitting under an umbrella. Why? Because she had been told not to get any darker, because her Costa Rican heritage made her dark enough for these folks. Today she is an incredible dancer, but this story always stuck with me as an odd tale of somehow acceptable racism. Physical appearance is crucial in dance, no matter the discipline. Rockettes must be between 5′ 6″ and 5′ 10 1/2″, which is how they keep those lines looking so nice and straight. Shorties at the ends and taller girls in the middle. It gives the appearance of somewhat uniform height. At a charitable 5′ 3″, I abandoned those dreams long ago. Like most other performing arts, it’s all about a look. At the school I teach and dance at, we don’t worry about that, so it wasn’t as obvious to me until I ventured out into the big world. I danced with girls and guys of all shapes and sizes. As accepting as we were of our dancers, others are not as kind. Finding dance costumes for our bigger girls (and I’m using that term loosely) can involve ordering multiple costumes for the extra fabric and putting panels in. Performances require a litany of undergarments to keep our normal bodies inside the small confides of even the most modest costumes. We got comments at competitions, despite the fact that we consistently bested our traditionally shaped competitors. So why do I bring this all up? Misty Copeland is so important because she represents much more than the racial barriers she has broken down. I have students with both mental and physical issues that make dance a challenge larger than it is normally. When they overcome those obstacles, they worked twice as hard. It’s also personal. Most kids start dance around 4 or 5, but I really couldn’t start until I was 7 because I was born with hip dysplasia, which was undiagnosed until about 5 or 6 months. Most cases are discovered and quickly treated at birth, but mine could have required surgeries and possibly left me unable to do many physical activities. However, we were sent to an excellent pediatric orthopedist, and he recommended braces, which while super fun to wear, were a gentle way of correcting my issue. Hip flexibility has always been a major dance hurdle, but I attended a school that was nurturing and never allowed that limitation to stop me. 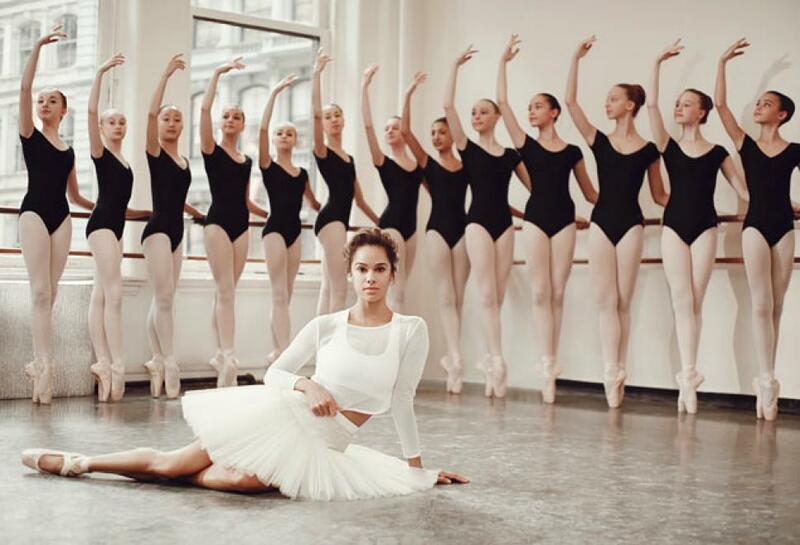 Misty Copeland represents the challenges that many young dancers face. Perhaps its financial, as dance is an extremely expensive activity. Perhaps its issues of appearance or heritage. Perhaps it is overcoming injury. She is like so many other American athletic heroes. We don’t just love them because they are excellent at their sports, but because of how they show us American work ethic. Each generation has one. I greatly admire Kerri Strug, and I still get goosebumps, chills, and maybe some tears when I watch her nail that second vault at the 1996 Summer Olympics. America loves a hero, and we certainly have found one in Misty Copeland.